Delco Style for GM V6 and V8 Staggered bolt pattern. Replaces Merc PN 50864340A2, 50863007A1. Volvo 3860764-4 and OMC 3855177. 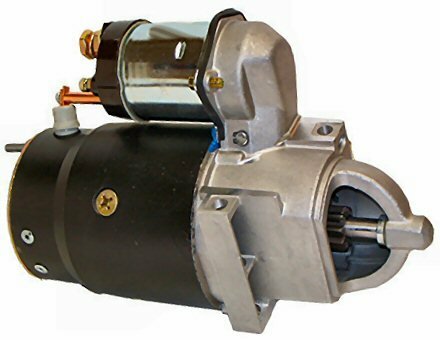 12 Volt Heavy Duty Starter fits 6 and 8 Cylinder Engines with Metric 5MT Solenoid. Two "long bolt" staggered pattern design. Permanent Magnet Reduction. *** THIS IS A 13" Long Starter often confused with a shorter starter -- please measure yours. ***.